The American Association on Intellectual and Developmental Disabilities (AAIDD) seeks applicants for the position of Editor of its peer-reviewed journal, American Journal on Intellectual and Developmental Disabilities (AJIDD), for a term of four years that shall begin in mid-2014 and with the first issue under the direction of this Editor to be January 2015. First published in 1896, AJIDD is among the top-ranked, peer-reviewed, multidisciplinary publications reporting current and critical research in the biological, behavioral, and educational sciences. AJIDD contains high-quality, original contributions to the literature on intellectual disability, its causes, treatment, and prevention. AAIDD publishes the journal bimonthly (January, March, May, July, September, and November). AJIDD is distinct from AAIDD’s other multidisciplinary peer-reviewed journals, Intellectual and Developmental Disabilities (IDD) and Inclusion. IDD focuses on the application of emerging policies, innovative practices, and transformative concepts, and Inclusion presents and discusses evidence-based interventions and strategies that promote the full inclusion of people with intellectual and developmental disabilities in society. Qualifications for the position are an established record of scholarship in the disabilities field, managerial skills necessary to oversee the editorial cycle, and the ability to attract and retain respected experts to the editorial advisory board. • Providing a clear vision for the direction of the Journal. Applicants must have clear employer or institutional support for this activity for the duration of their appointment, including release time and general office support. AAIDD does not pay for office space or release time, but can provide basic financial support for the IDD Editor, which may include funds for clerical assistance, office supplies, postage, and telephone beyond what will be provided by the Editor’s home institution. Since the support offered by different institutions varies widely, interested individuals are encouraged to contact the appropriate office of their employer in order to ensure the feasibility of your application. • Letter of Application that describes your qualifications for the role of Editor of IDD, such as past experience as an editor or member of an editorial team, history of scholarship in the field, and demonstrated capacity to manage deadlines and to attract and retain contributors to projects. • Vision Statement that provides a clear description of your vision for IDD under your leadership. Set forth your goals and plans for the content of the Journal, with an assessment of the current strengths, weaknesses, or gaps that you plan to address and how you will operationalize your plan. • Vita or Resume that accurately portrays your experience, indicates your current affiliations, and lists your current contact information. • Evidence of Institutional Support, which may be a letter of support or other documentation from your employer that describes the level of support (release time and general office support) available should you be selected for the position. Applications will be reviewed by the Search Committee immediately after the submission deadline. Interviews will be conducted by phone and the selected candidate will be expected to disclose any potential conflicts of interest prior to appointment and annually thereafter throughout his or her term of service. Applications will be accepted via email only. Send application packets to Margaret Nygren, EdD, Executive Director, at mnygren@aaidd.org by December 13, 2013. *Please feel free to forward this message to colleagues and other interested parties. AAIDD is the definitive membership organization and the authoritative source of information for those in the intellectual disability profession. Our membership is over 5,000 professionals strong, in over 55 countries around the world. Joining AAIDD lets you tap into a network of top professionals who can help you find a job, show you the ropes, and deepen your involvement in your profession. Members receive our journals, discounts at our online bookstore, conferences, webinars and receive the latest news and activities in weekly, monthly and quarterly reports directly to your email box. All Members Have Online Journal Access! AAIDD Members Receive a 10% Discount on Over 300 Accredited Courses Online! Browse the AAIDD Bookstore by Clicking Here. Now Available: Nuts & Bolts: Writing Outstanding Journal Articles and Good Blood, Bad Blood: Science, Nature, and the Myth of the Kallikaks at the AAIDD bookstore! This practical new guide informs clinicians, educators, policy makers, and program managers how to implement the various components of the AAIDD definition system in their specific job settings. The authors discuss the contemporary relevance of support-based definition in special education, IDEA mandates, diagnosis and other important issues. This book gives the professionals and paraprofessionals who have dedicated themselves to the field and to the welfare of individuals with intellectual disability a trauma-informed paradigm within which to support their clients psychologically and to establish the critical elements needed for treatment and recovery. AAIDD on Facebook and Twitter! Follow us on Twitter (@_aaidd). The Communications Office of the Agency for Persons with Disabilities wants to ensure that it is meeting the communication needs of all its stakeholders which include employees, customers, and providers. The Communications Office is responsible for all agency media relations, program marketing, brochures, posters, the Champion newsletter, websites, displays, constituent correspondence, agency customer service inquiries, Disability Employment Awareness Month activities, presentations, and other related activities. Let APD know what you think! Please spend two minutes completing this online survey (https://wwwsurveymonkey.com/s/APDComm) to help APD improve it’s communication with you. WHEREAS, Florida provides citizens with developmental disabilities the opportunities and support to make informed choices, live in their communities, exercise their rights, pursue productive lives, contribute to their city, state and nation, and achieve full inclusion in society. NOW, THEREFORE, I, Rick Scott, Governor of the State of Florida, do hereby extend greetings and the beast wishes to all observing March 2012 as Developmental Disabilities Awareness Month. 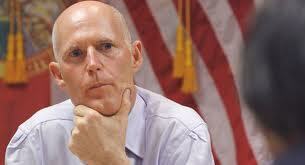 Click on the link below or past it into your browser to see the document signed by Governor Rick Scott.